Durable, comfortable, and no maintenance. Ideal for a commercial environment. You can give your customers a great outdoor experience, without breaking the bank, and without taking up the precious time of your companies staff. 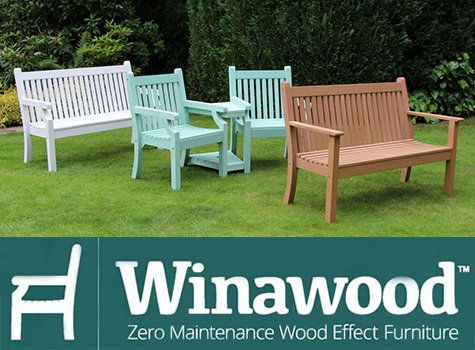 Introducing our weatherproof garden furniture range, ideal for a commercial environment. This furniture is made from compressed polymer that creates a wood-effect, providing a traditional style with the durability of a man made product. Leave it outside all year round. No oiling or sanding required. Extra wide chairs and benches. This is a favourite of parks, hospitals, and local councils, being both durable and traditional. It’s available in chairs, benches, and a variety of sets, click here for more information on the range. 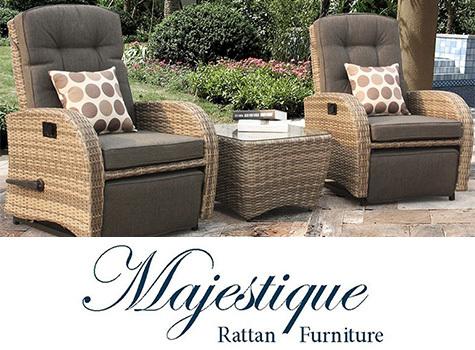 This furniture is designed to give your space the wow factor, with a range of reclining rattan furniture that’s built with comfort in mind. The quality of materials is second to none, with UV stabilized synthetic rattan threads hand woven over a strong aluminium frame, providing a cushioned yet sturdy chair. UV stabilized rattan – will not fade. Aluminium frame – will not rust. This style of furniture is a favourite of hotels, bars, restaurants and spas because of its luxury feel. It’s available in a range of chairs, sofas, and sets, more information can be found here.